How to check the version of Java that is installed on your computer. Step 1:Open your web browser. Go to http://java.com/en/download/installed.jsp. 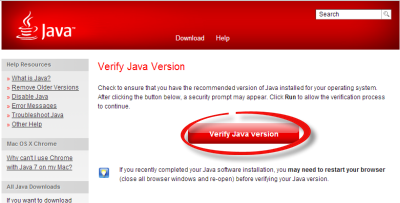 Step 2:Click Verify Java version. 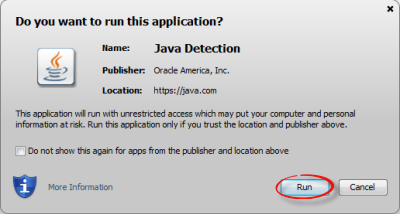 Step 3:Allow a couple of moments for Java to be detected. Step 4:Click Run on any security prompts. Step 5:You will be notified if you are running the current version. 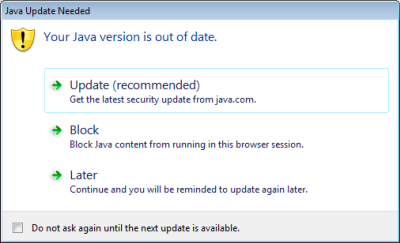 If Java is out of date, you will be given the option to update it.